Check out our new peach iced tea, available in Black, Green, or Passion Tazo® Iced Tea. If you’re needing a jump start in addition to a refreshing drink, try a Starbucks® Ice Coffee sweetened just right with our classic syrup, or any of our other flavors—vanilla, caramel, hazelnut, toffee nut, cinnamon dolce, and more! Continue Reading Comments Off on Cool Off at Café 1905! Continue Reading Comments Off on Cupcake Overload! Continue Reading Comments Off on Tuna Melt Panini! 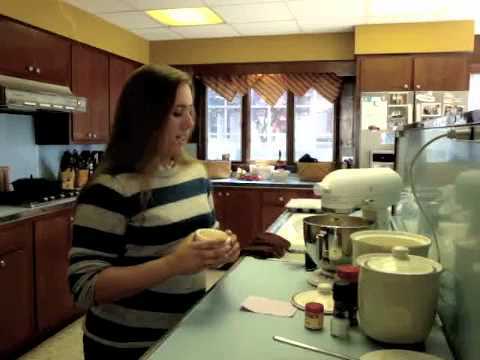 Café manager Tirsa Vernarec shares her Pumpkin Muffin recipe! Continue Reading Comments Off on Lights, Camera, Bake!